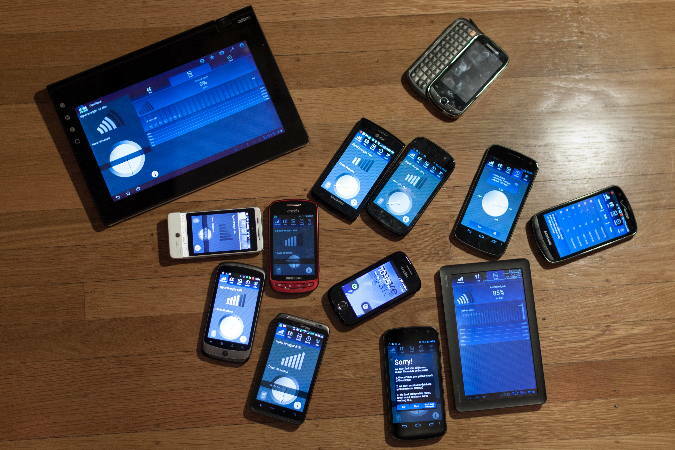 Explore the world of accessibility on mobile devices -- including iOS, Android, and Windows mobile -- and how jQuery fits into the mobile accessibility landscape. The VoiceOver Rotor is how users quickly navigate to semantic elements on your page. To use the rotor do a 2-finger rotation gesture like your turning a knob. Keep rotating till you get to the semantic element you'd like to navigate by. Navigate by Landmarks shown below. System zoom can work with VoiceOver together than the zoom view will follow the VoiceOver cursor's focus. 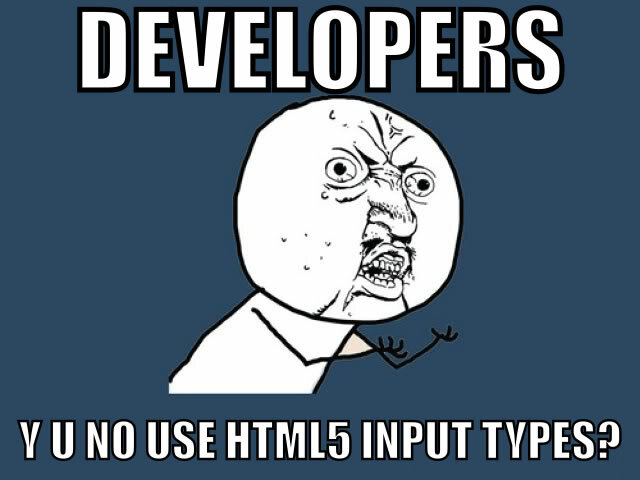 HTML5 WebVTT Captions now working in iOS 7!!! Apple recommends that developers setting the Triple-Click Home Accessibility Shortcut to VoiceOver so you can quickly do accessibility testing of your sites and apps by pressing the home button 3 times to turn VO on and off easily. Windows Phone's have no screen reader accessibility support currently. Only Windows 8 tablets include the built in Narrator screen reader, zoom, and the more powerful tablets can run JAWS (paid) and NVDA (open source) screen readers in modes optimized for touch use or with normal keyboard interaction. When you are zoomed in and open another app you lose your zoom :( iOS does both of these items correctly. Don't Disable Pinch To Zoom! Disabling pinch to zoom is a WCAG violation. 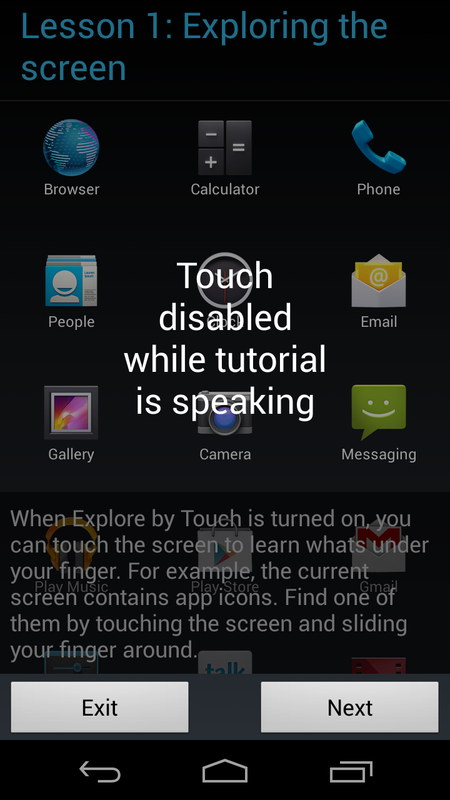 I've also seen this disable copy/paste and another built in iOS accessibility feature, Speak Selection. 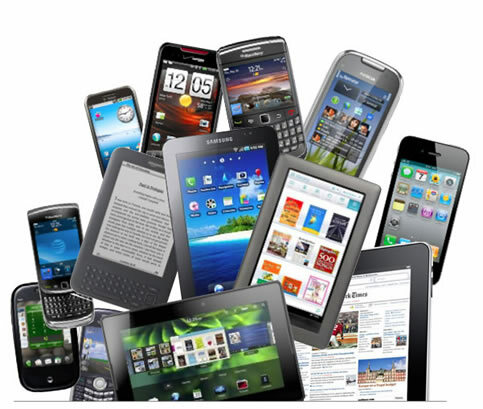 While there are many similarities between desktop and mobile web browsers and screen readers, there are also minor differences that are hard to keep track of unless discovered during actual device testing. E.g. some ARIA properties are supported in VoiceOver for OS X but not for iOS. 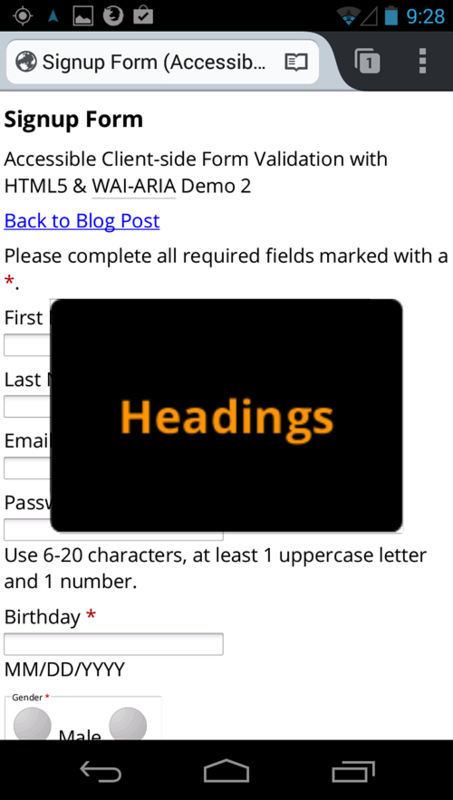 Not all ARIA properties work on all mobile devices, e.g. aria-expanded fails on iOS, on Android you have different browsers with different levels of support. 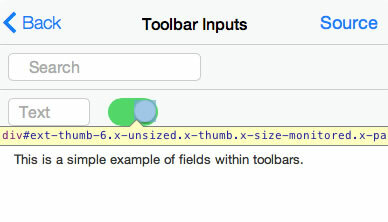 This Sencha Ext JS IMG custom UI element is NOT focusable, has no name, role, and cannot be activated with the keyboard. According to the ARIA spec you SHOULD also implement the SPACEBAR event handler. use a <button> and life is way easier! A <button> or <input> is already focusable natively, it also implements onClick JS events with the keyboard and not just the mouse! <a href> is also focusable and onClick works BUT still have to add the role=button and SPACEBAR will NOT work. <button>'s can be styled anyway you want so just use a button! Demo video with closed captions and closed audio descriptions track. Works on iOS. 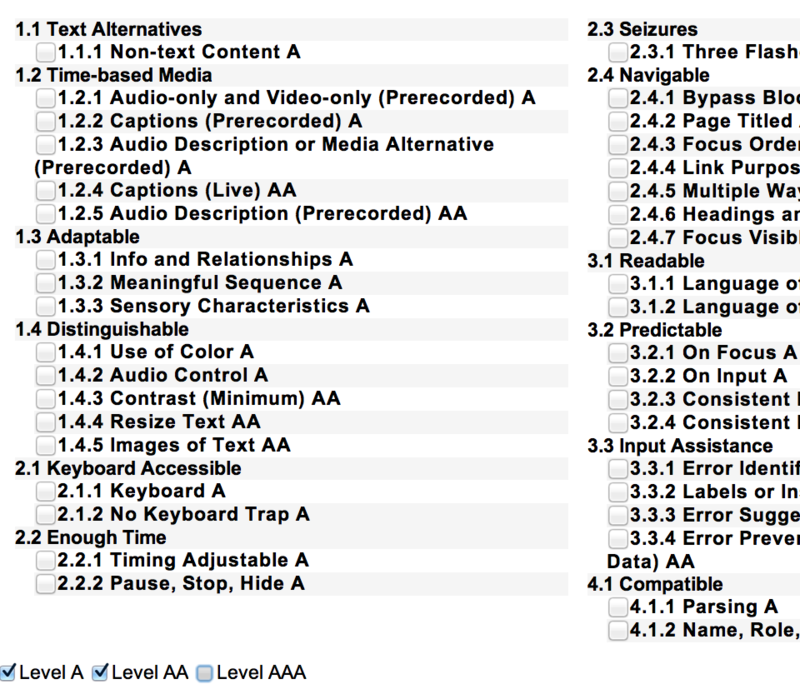 Instructions for creating videos with closed captions & closed audio descriptions track. Mobile Safari & VoiceOver for iOS have a bug where the <audio> and <video> elements are placed at the bottom of the focus order and you cannot give them a unique identifier. Transcript = the verbatim audio track. Text Description = the transcript of audio content that includes spoken words and also non-spoken sounds like sound effects. Audio Description = narration, spoken out loud. It explains visual details. Captioning = the process of capturing the spoken word into text and displaying text at the same time the words are spoken. NASA Podcasts all have Text Transcripts for each audio or video podcast! 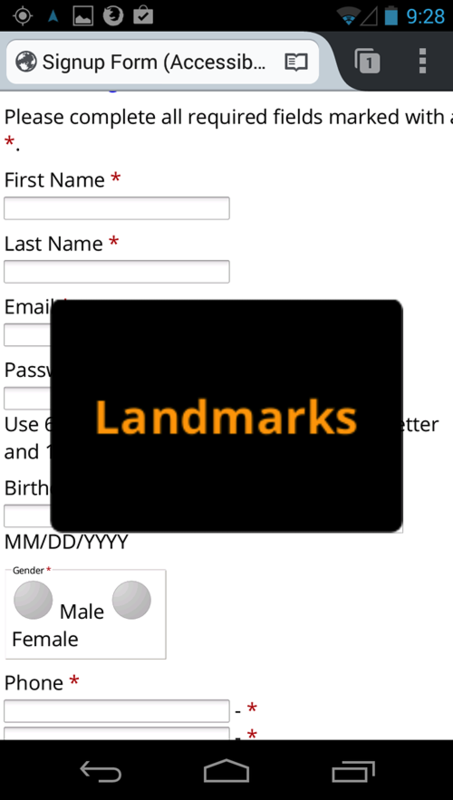 By placing the label directly above the input you improve the experience for mobile and screen magnification users. When focus is in the input the label will no longer be cut off like in the example of the Gmail sign up form where the label is placed to the left but cut off when viewed on an iPhone. Use table headers <th> with scope attributes to provide a unique column and row header identifier for each data cell. For complex data tables with two or more row or column headers the headers attribute is necessary on each data cell <td> with space separated values pointing to the IDs of all its row and column headers. Use a table caption with a heading element inside the caption. Summary not necessary on data tables, use the caption and easy to understand tables instead. Layout Tables should never have data table attributes like summary, scope, headers. Don't use layout tables if CSS can do the job. WAI-ARIA role=presentation can suppress table cell semantics on a layout table and keep NVDA from announcing too much unnecessary info. 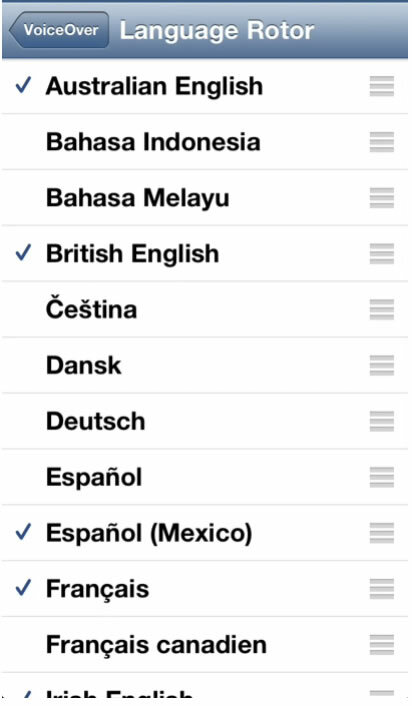 VoiceOver can speak in 36 languages and dialects. Set the lang attribute on the document as a whole or on parts of the document if it contains multiple languages. Pinch to zoom must allow scaling up to 200% to pass WCAG. If content is hidden in a RWD view it must not be available to AT either. Focus order should not be disrupt the meaning of the site as content shifts in RWD views. When using linear (swipe to the next element) navigation the default Button element is 2 focusable elements, the visible "Button element" <span> text, and also the <input type=button value="Button element">. VoiceOver only needs to see the input which gets its accessible name from the value attribute. Using the Web Inspector with Mobile Safari I tested out applying aria-hidden=true to the non-semantic <span> element and now VO only focuses on the <input>! 1 element vs. 2. Not sure that Flip Switches should be semantically identified as sliders? Or have an application landmark role? Dialogs don't close on ESC key, buttons are missing button roles and instead have a link role. WHY?? Does this semantically structured data table not appear as a data table to screen readers? VoiceOver for iOS and OS X thinks it's NOT a table!? Bug caused by display: table-row-group; being applied to the table. Seems to suppress table semantics to accessibility APIs. Disable the display: table-row-group; CSS property in your browser's developer tools. Nice how they have a class of button but no role=button?! VoiceOver reads this as just Back, it's not even fousable with the TAB key. It's not keyboard focusable, no keyboard activation, no button role, and is actually 2 separate elements rather than 1. Practice VoiceOver gestures. 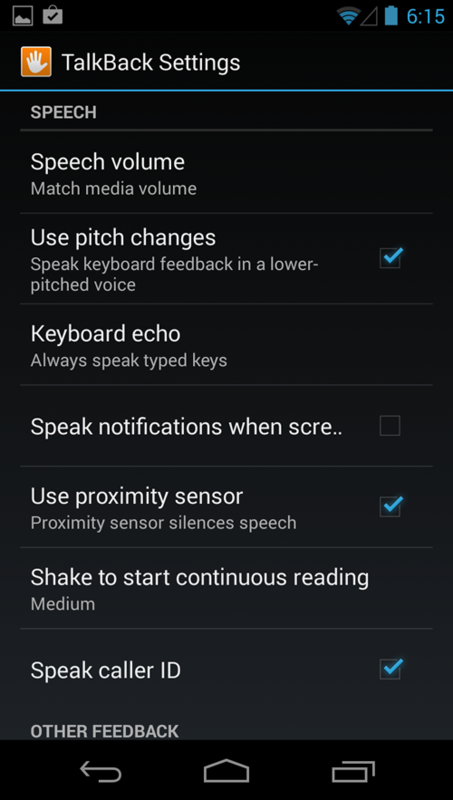 Go to Settings > General > Accessibility > VoiceOver, then tap VoiceOver Practice. When you finish practicing, tap Done. If you don’t see the VoiceOver Practice button, make sure VoiceOver is turned on. Tap: Select and speak the item. Swipe right or left: Select the next or previous item. Swipe up or down: Depends on the rotor setting. See Use the VoiceOver rotor. Two-finger swipe up: Read all from the top of the screen. Two-finger swipe down: Read all from the current position. Two-finger scrub: Move two fingers back and forth three times quickly (making a “z”) to dismiss an alert or go back to the previous screen. Three-finger swipe up or down: Scroll one page at a time. 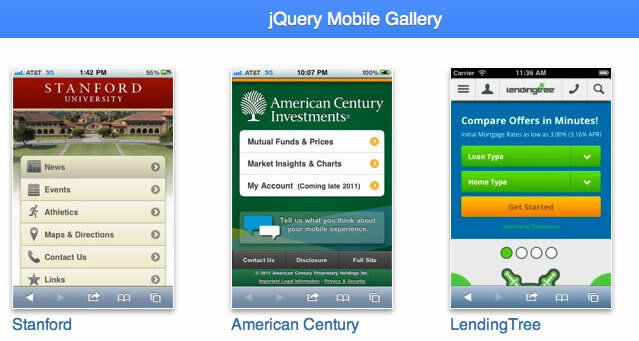 Three-finger swipe right or left: Go to the next or previous page (such as the Home screen, Stocks, or Safari). 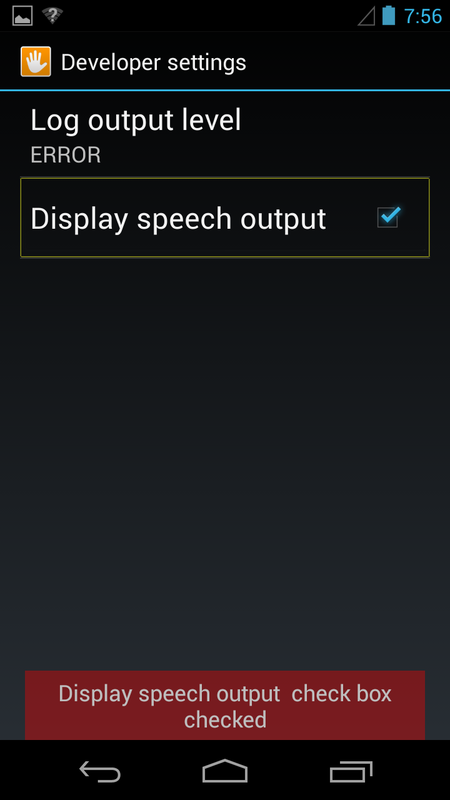 Three-finger tap: Speak additional information, such as position within a list or whether text is selected. 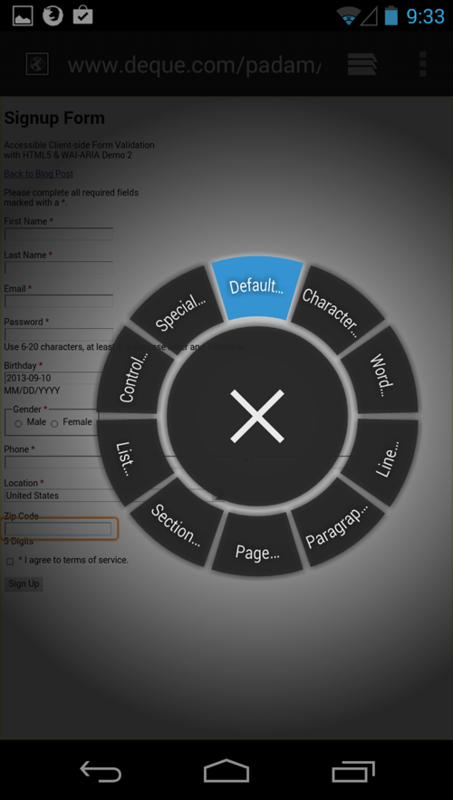 Four-finger tap at top of screen: Select the first item on the page. 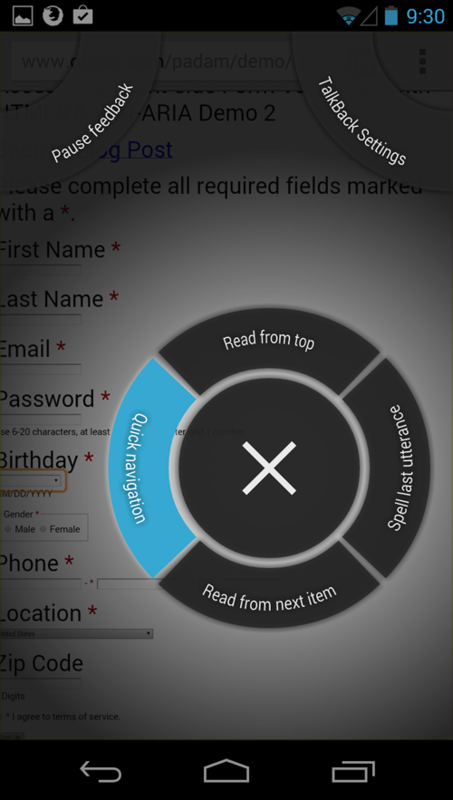 Four-finger tap at bottom of screen: Select the last item on the page. Double-tap: Activate the selected item. 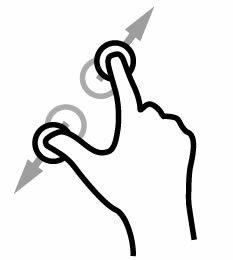 Split-tap: As an alternative to selecting an item and double-tapping to activate it, touch an item with one finger, and then tap the screen with another. Double-tap and hold (1 second) + standard gesture: Use a standard gesture. The double-tap and hold gesture tells iPhone to interpret the next gesture as standard. For example, you can double-tap and hold, and then without lifting your finger, drag your finger to slide a switch. Two-finger double-tap: Answer or end a call. Play or pause in Music, Videos, Voice Memos, or Photos. Take a photo in Camera. Start or pause recording in Camera or Voice Memos. Start or stop the stopwatch. Two-finger double-tap and hold: Change an item’s label to make it easier to find. Two-finger triple-tap: Open the Item Chooser. 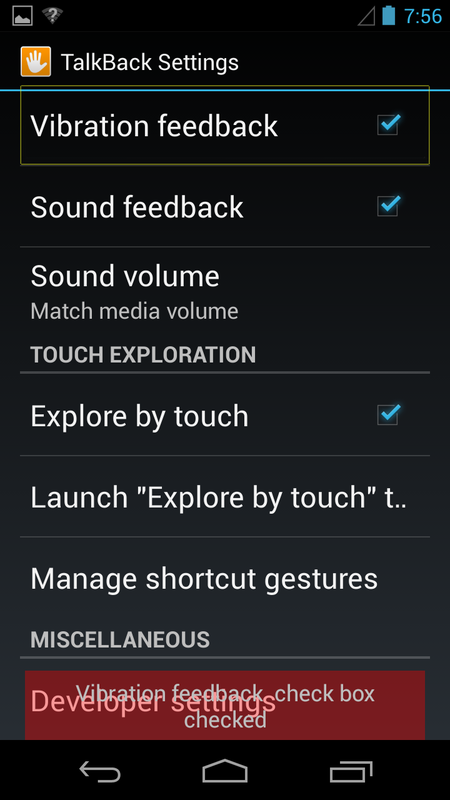 Three-finger triple-tap: Mute or unmute VoiceOver. 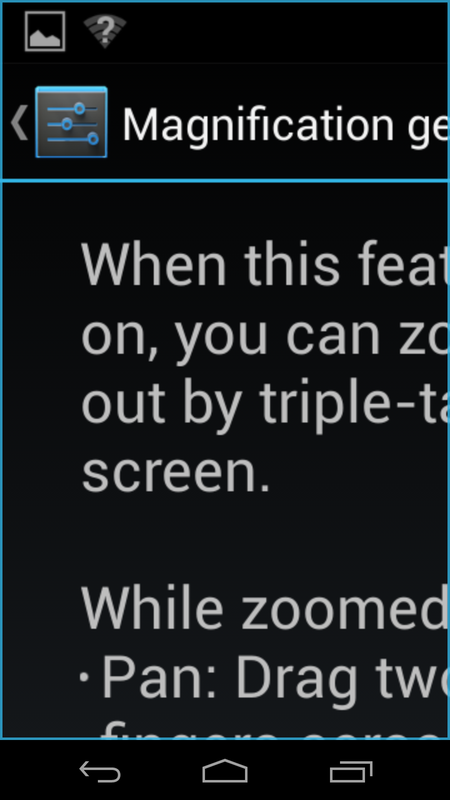 Three-finger quadruple-tap: Turn the screen curtain on or off.